“It is the spring of 1527. Henry VIII has come to Hever Castle in Kent to pay court to Anne Boleyn. He is desperate to have her. For this mirror of female perfection he will set aside his Queen and all Cardinal Wolsey’s plans for a dynastic French marriage. Anne Boleyn is not so sure. She loathes Wolsey for breaking her betrothal to the Earl of Northumberland’s son, Harry Percy, whom she had loved. She does not welcome the King’s advances; she knows that she can never give him her heart. Another great book by Alison Weir, not surprisingly. This one is going to be tough giving my feelings without spoiling anything. 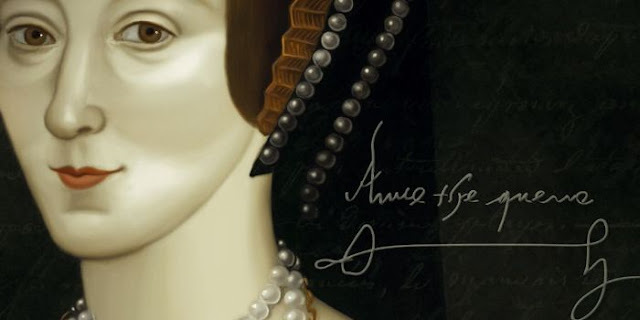 Well, you all should know who Anne Boleyn is, it’s common knowledge she is the second wife of Henry VIII, who, after not producing a son that was “promised”, had her head chopped off. So, knowing all that I read the book at a very slow speed. I even did that with the second season on the Tudors. No one wants to see their favourite character die, especially like that. I’m just going to put my opinions out there from the start; I believe Anne Boleyn is innocent, and the only reason these outlandish accusations happened was because Henry lost interest (as per usual), and desperately wanted that son as soon as possible. I’ve had people come up to me and say Anne is a hussy…. I’m not making any of that up. Like Alison Weir has stated in her book, Anne didn’t even want to get with Henry at the beginning, I just believe she was hungry for power and she believed she could make the world a better place. She did, she had the bible translated so everyone can read it. This book was brilliant, you got to see an intelligent side to Anne, and where she got her ideas and independence from. I’ve always believed Anne wasn’t an idiot, that’s why I never believed the accusations. I don’t know how I’m going to feel about reading the next book in the series, Jane Seymour. I have strong opinions about her, and none of them are good. Saying that, I am looking forward in reading about her, mainly because of Alison Weir.